Fiona covers the central and southern South Island from North Canterbury down to Invercargill, so the day to day view from her office window is some of our country’s most spectacular scenery. Fi has been involved with horses for her whole life, having competed in eventing and show jumping from a young age. 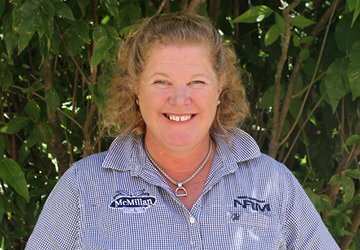 She was breeding and operations manager at Australasia’s largest sport horse breeding stud for more than 18 years. Fi covers the retail network with a focus on the equine and lifestyle ranges, so everything from chooks and pigs through to your high performance horses.